Alamo Drafthouse Poster. 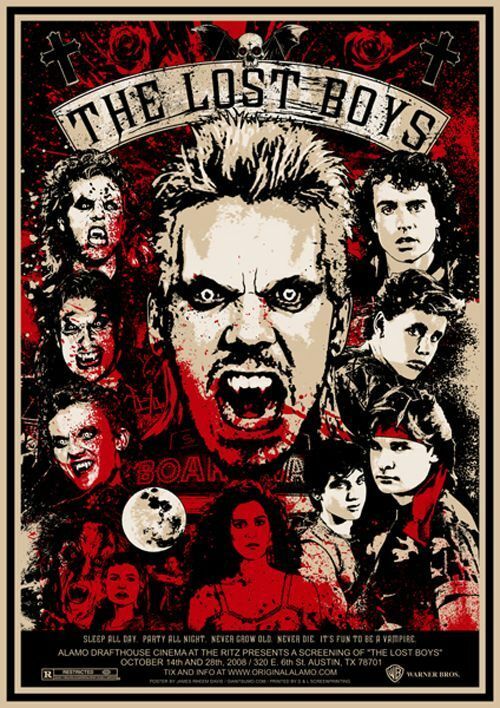 Poster द्वारा James Rheem Davis to promote a दिखा रहा है of The लॉस्ट Boys at The Alamo Drafthouse in Austin, TX - 2008.. Wallpaper and background images in the The लॉस्ट Boys Movie club tagged: the lost boys poster movie screening movie showing alamo drafthouse james rheem davis 2008. This The लॉस्ट Boys Movie fan art contains मोबाइल फोनों के लिए, हास्य पुस्तक, मंगा, कार्टून, एनीमे, कॉमिक बुक, and manga.